Omar, you describe yourself as a social documentary photographer, an anti-apartheid / cultural and political activist, a curator, an unionist, a historian, a writer. Each of these activities certainly produces large amounts of archives. Regarding the focus of our blog, we are particularly interested in your photographic archives. Can you please introduce us to them: how rich and diverse are they? And how do you take care of them? My photographic archive is not as extensive as that of some of my colleagues, mainly because I don’t shoot as much as I should have done. My archive is made up of photographs that I had done during my life as an activist and consists of work largely done in and around Natal (now KwaZulu-Natal), Cape Town and projects I did in six countries I have visited. Most of them were projects that I conceptualised and funded, documenting trade union, women, student and political struggles. I don’t think that I have done more than four essays that were commissioned by a magazine and I did these assignments on the basis I kept my negatives and held the copyright. During the apartheid era, it was also very difficult to find work for Black photographers other than as freelances in small community-based black-owned newspapers. In the 1970s and 80s I was part of a number of initiatives to establish both legal and underground libraries of books and also to retrieve historical documents of the banned liberation organizations. I was also aware of the importance of the archive because both my father, Ebrahim Badsha, and uncle, Moosa Badsha, were photographers. 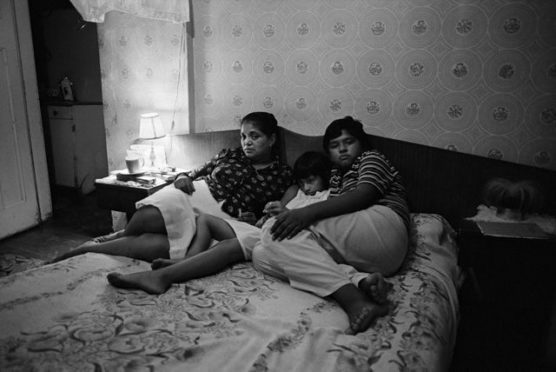 My uncle’s work was an incredible social history of Durban and especially of its Indian community. I witnessed how his archive was destroyed due to his own negligence and that of the newspapers he worked for. This archive was also destroyed when our families were forced to move by the government because of its policy of establishing separate group areas for black people. My uncle stored his work in the garage and all of it got damaged by flooding. My big regret is that I did not take better care of my negatives nor keep meticulous records like my colleague, fellow photographer, David Goldblatt. I set myself a goal last year to start sorting out my archive but it is difficult with my work load at South African History Online (SAHO). You were one of the founders of the Afrapix collective and agency in 1982, which was instrumental to create awareness outside South Africa about the extreme violence of the apartheid system. What was then your perception of these archives regarding to the struggle? If present was key, did you also have an eye on their future legacy? How did you run the archives you produced collectively? And what happened to them when the group and project disbanded? 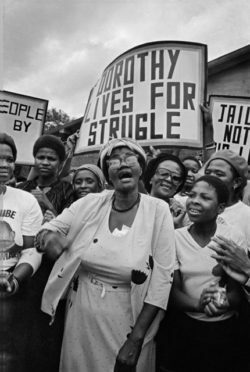 Let me start by telling you about a turning point in my life: in 1980 I worked with my friend, the historian Heather Hughes, on a exhibition on the history of the Women’s movement in South Africa to coincide for the revival of the women’s movement. We compiled an exhibition by reproducing photographs from Drum magazine and other publications. The exhibition was part of a programme to celebrate the great women’s anti-pass march held on the 9th August 1956. On the day of the event, which was the first time this celebration was held since the banning of the liberation organizations, the government banned all political meetings, but not this exhibition. It became the focus of the celebration and a symbol of defiance and also one of reclaiming history. I was, as a political activist, working in the underground structures of the ANC and in community and legal political organizations documenting life in the townships. When political events started escalating, comrades would call me if the police was conducting raids or if there were running battles in the townships. It was very dangerous, especially at night, to enter some areas. One of the things I did was to set up a training programme to train a number of newly released political prisoners and young activists. I began drawing on activists I trained to document events in their areas and then distributing these photographs to the mainstream and alternative press. In 1981, I discussed the idea of a library and an archive with activist photographers on one of my trips to Johannesburg. There was immediate support for the idea of forming a collective to run an archive and photographic workshops for activists working for NGOs. This is how Afrapix started. Two of my colleagues who were part of this initial meeting, Paul Weinberg and Lesley Lawson, approached the Interchurch Media Project, which was part of the South African Council of Churches, to provide us with the support to establish Afrapix. Afrapix as a collective grew and its individual members spread across four provinces and Namibia and over a decade built up a massive archive of the political and social history of South Africa in the 1980s. It provided a home and trained many young photographers, some of whom have become very well known internationally. 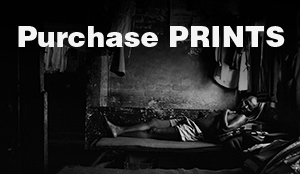 When Afrapix closed in June 1991, almost all the work from the Afrapix library was given back to the photographers, some of it is still held by international NGOs and agencies that distributed our work worldwide. 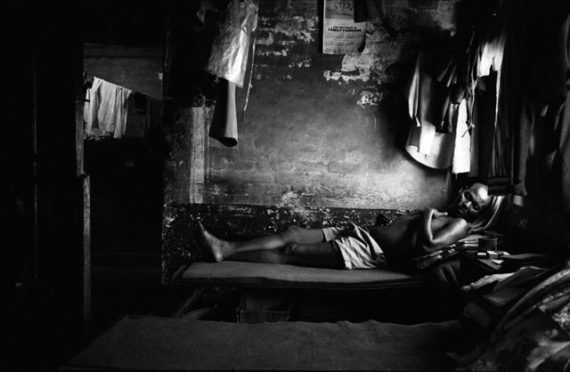 In 1982, you became the head of the photography unit of the Second Carnegie Commission on Poverty and Development. 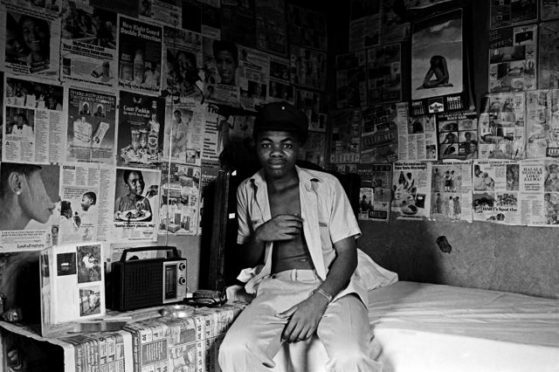 You recruited 20 photographers to participate in the project and curated the highly influential exhibition (1984) and book (1986) South Africa: The Cordoned Heart. Where can these archives be found now? 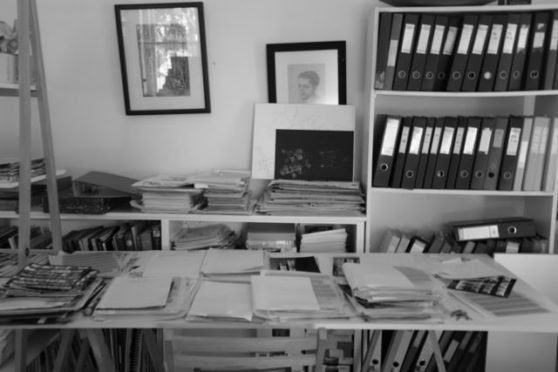 Today, archives have become a very big deal in the « North » for artists, curators and institutions, how does this resonate in South Africa, in the art community or regarding public policies? 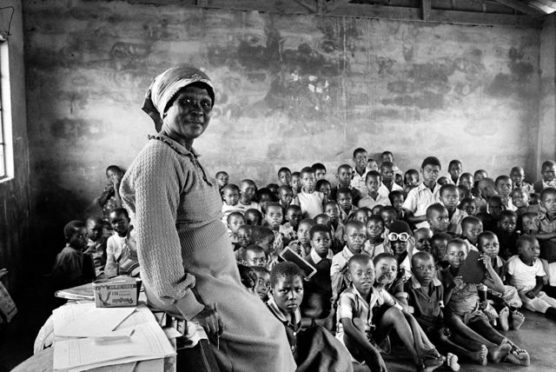 When the Second Carnegie Commission on Poverty and Development in South Africa was instituted in April 1982, I immediately contacted Professor Francois Wilson from the University of Cape Town (UCT), who was the head of the project and proposed that the Commission should involve photographers who would work alongside researchers. I based my proposal largely on the work of photographers’ / activists’ work in the 1920s and 30s in Europe and the Americas in the project related to Roosevelt’s New Deal, the Farm Security Administration (FSA) program. In our case, the project was run independently of the state and, in fact, the findings were a powerful critique of the state’s apartheid policies. As coordinator of this photographic project, I travelled around the country and made contact with photographers – many of whom formed part of the new generation of progressive academics and community activists – and looked through their work. In some cases, I suggested projects that photographers could undertake such as the famous “Nightriders” series done by David Goldblatt. I did not have a big budget to commission photographers to undertake projects, so I got around this by asking photographers to submit photographs of projects that they were doing or would like to do for the commission. 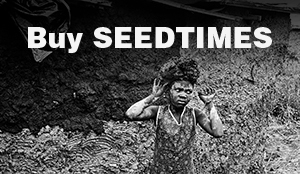 We collected over 50 photographic essays which amounted to well over 1,000 photographs from 20 photographers. I edited the submissions down to 200 – 300 prints for the first exhibition and this was further edited down to 130 images which were used in the book, The Cordoned Heart. I worked with the American photographer Alex Harris and his partner Margaret Sartor from Duke University, North Carolina. Alex and I printed five copies of the exhibition and Margaret designed the book. The exhibition travelled around South Africa, at the International Centre for Photography in New York, in the United Kingdom and Germany. Following this, at the end of the Carnegie conference I proposed the establishment of a centre for documentary photography at UCT, which was established in 1987 and ran until 1990 when we had to close the project due to a lack of fundings. I had kept all the Staffrider magazine exhibitions, which were housed at the special collection section of the library at UCT. In 2015 this became part of the new photographic archival project at UCT headed by Paul Weinberg. Most of our new museums are built around the photographic archive, so while there has been a lot of progress in building a new history, the state archives are under resourced and the liberation movements’ archives have not received sufficient state funding. The compiling of the archive of photographers’ work has received very little support. UCT has set up a new archival project continuing the type of work I started but this project has been plagued by administrative problems. Fortunately, the Drum archive was conserved and organized because the owner, Jim Bailey, had the resources to do so and saw the importance in doing so as both a commercial and heritage project. The archive is central to the building of the new South Africa. It is crucial to breaking the silences that the colonial and apartheid state imposed on what is remembered and how it is remembered. 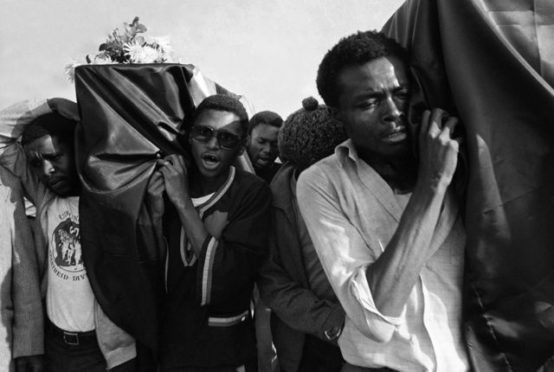 The post-apartheid government initiated a number of programmes from the TRC to the return of the land to people affected by forced removals: these programmes rested on people having to delve into their family and the state archives. Alongside this, the new government spent vast resources building new museums and erecting new monuments. Many of these new institutions are mainly dependent on the photographic archive, like the Drum magazine, the archives of the members of Afrapix, the Fort Hare, Mayibuye Archive at the University of the Western Cape (UWC) and the holdings of all the major universities. South African History Online, which I founded in 1999, has now become the largest online encyclopaedia and houses an archive of over 60,000 documents and images. The project is also the largest biography project in the country. In 2016 5,5 million visitors visited the SAHO website. The website includes the entire history curriculum for all grades and other resources for teachers and students. The site is updated daily and this year we have taken on 33 interns most of whom are Masters and Ph.D. students from the four universities in the Western Cape. We also have a small number of students from elsewhere in Africa. The project is dependent on donor funding and each year it struggles to make ends meet. South African artists and black artists in particular, after 1994, have drawn on the archive to use in their work and as part of the discourse on Black life, gender and decolonising the archive and curriculum. The question of the photographic archive has come up lately when David Goldblatt, in protest against students burning art work at the UCT campus, pulled out his work that he had deposited at the university archive and is now going to lodge it at Yale University, in the USA. He has been roundly criticised for his action. I on the other hand have started a discussion with the UCT library to look at the possibility of lodging all my work at the library. I am hoping that they will find the resources to clean, scan and house my archive and also to provide me support to produce a number of exhibitions. I am encouraging other photographers, especially my friends from Afrapix, to do the same.